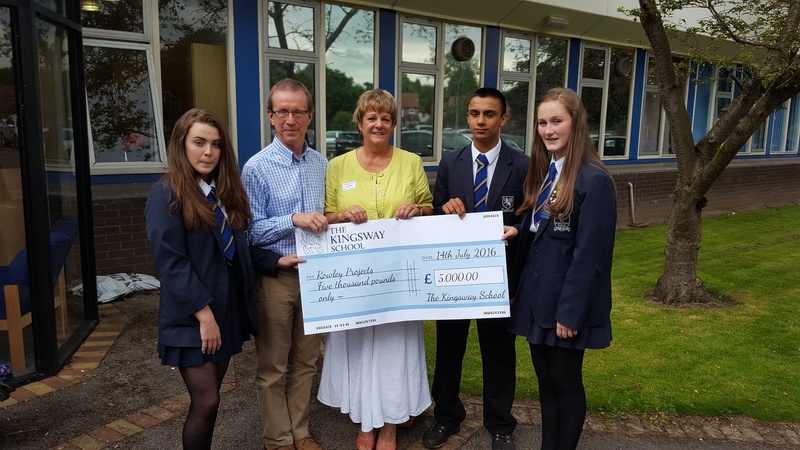 Angela and Steve attended the end of year assembly in July and were presented with a cheque for £5,000. 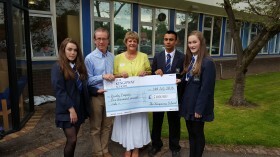 The proceeds from the biennial sponsored walk were shared between four charities. The school has a longstanding link with the Kingsway schools in Nyandiwa and this money will be put to good use funding furniture for the new dining hall alongside other items for the schools. Thanks, staff, students and friends – a brilliant total.